This site could not have happened without the help of many people. Trumpigula thanks each and every one from the bottom of his hoggy heart. 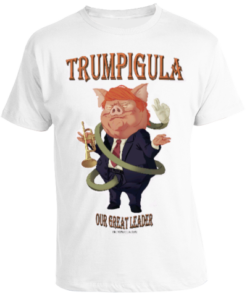 Help turn it into a movie by purchasing a nice quality Trumpigula T-shirt. If you would like to directly donate, please do so through PayPal.